I am delighted to be able to publish our first guest race report. 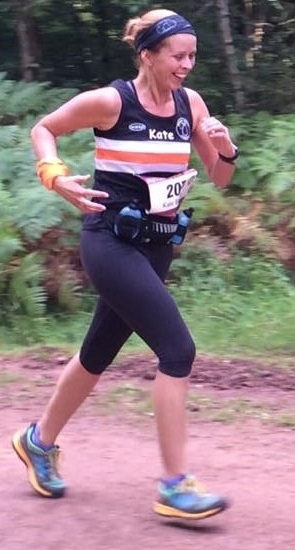 Sarah Kellett has kindly put pen to paper to tell you all about a local forest half marathon. She has submitted both copy and the fabulous happy photos of the other willing participants. 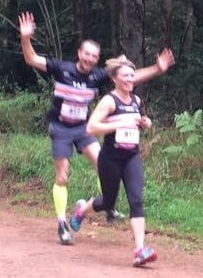 Pictured on the right with her ‘flying feet’ at the half marathon in question, she is a very accomplished runner. Sarah has won the lady’s title in both the Bulmer’s Bash and Wilkins Way 10ks this year, to name but a few of her many successes. Thank you Sarah for setting the precedent and may you be the first of many to come. 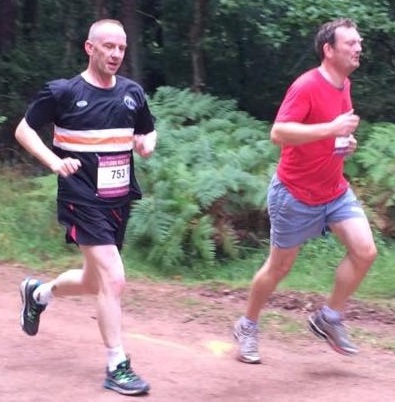 The Forest of Dean Autumn Half marathon is a great excuse to go running in the woods. It’s all off road and takes you from Speech House out into the forest, along fire tracks and forest paths. 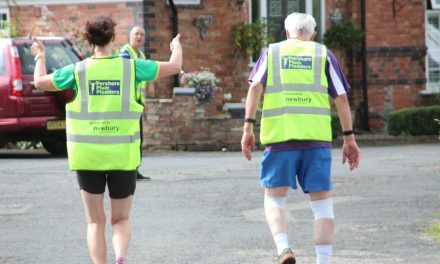 The first three and half miles were rather deceptively flat with a gentle downhill before the next three took you steadily uphill, with little let up, apart from a rather welcome drinks station. The second half continued to undulate and climb with a total of 950ft of elevation throughout the race. However, you soon forget the burn of the hills when you took stock of where you were. It was certainly a testing race with some tough climbs and sharp descents. There was some storming running by the few BPJs who took part. Even though this was a trail half, there were a few personal bests grabbed by some. 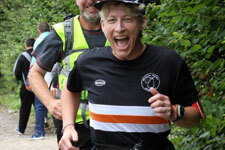 Howard Thompson, relatively new to the club, got a new half marathon PB. Nick Eacock got a storming new half marathon time of 1:35, taking over 5 minutes off his HM time. Finally, Simon Griffiths came in at under 1.30 and took first in his age category- incredible running. 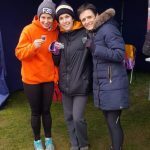 The girls – Jo Walker, Lucie White and myself/Sarah Kellett – took 2nd affiliated female team, with the boys coming in at 5th. 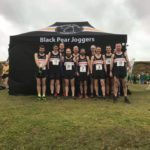 Well done to all those others who ran; James Dickson, Paul Gilder, Katy Eacock, Lucie White, Ian Wild and Karen Morgan. I think all those who took part would say it’s a toughy but worth it to get the chance to run in a such a stunning location. 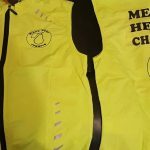 The race is well supported, catered and organised by the Rotary Club of the Forest of Dean. 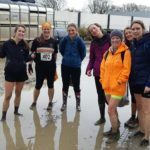 If you like a challenge, running in beautiful scenery and a few hills, it’s definitely one for you. 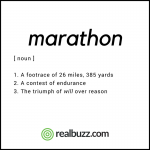 If you were inspired by this, can enter either the Spring or Autumn half marathon event.